Just like the regular Moto G7, the G7 Play has received a pretty substantial performance improvement with its upgraded SoC. We're talking about 110% faster overall performance compared to its predecessor. And, unlike the G7, there's been no price increase. So you get even better value at the same great price, a win-win for anyone looking for a budget-friendly device. The Moto G7 Play brings midrange performance at a very wallet-friendly price. It has a higher resolution and a much better SoC than last year's Moto G6 Play, and it's the cheapest phone running the latest version of Android, 9.0 Pie. 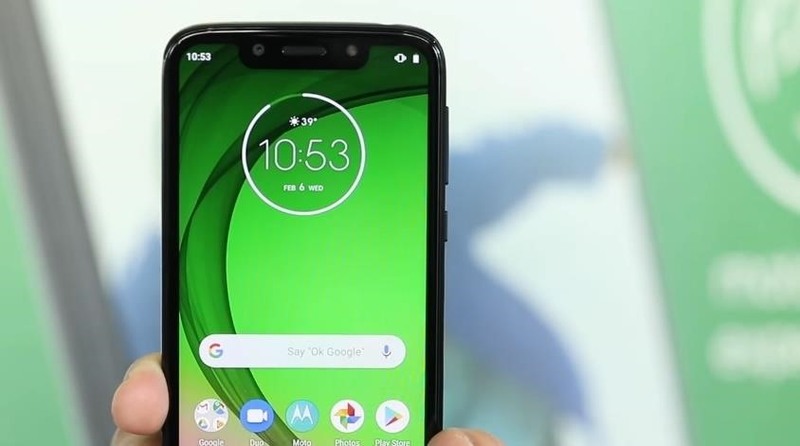 The Moto G7 Play was announced on February 7, 2019 alongside the Moto G7 and Moto G7 Power. Pre-orders start on March 15, 2019, with the official release on April 5. It will be available unlocked at Best Buy, B&H Photo, Amazon, and on Motorola's official website. It will also retail through various wireless carriers and MVNOs, including Boost Mobile, Virgin Mobile, US Cellular, Republic Wireless, and Ting. The Moto G7 Play comes with one storage option of 32 GB. It also supports microSD for expandable storage, up to 128 GB. The Moto G7 Play will retail for $199. Currently, we don't know the price of Moto Care Protection as it isn't revealed until the phone's release. The back cover is plastic. The front glass is protected by Gorilla Glass 3.I t comes in two colors: Deep Indigo and Starry Black. The G7 Play is taller and wider than its predecessor thanks to its larger display. However, thanks to its smaller battery capacity, it weighs much less and is a bit thinner. The G7 Play is splash resistant, allowing it to survive light rain, a little bit of sweat, or a splash of water. It is also SIM unlocked and compatible with both T-Mobile and AT&T networks. The Moto G7 Play is running the latest version of Android, 9.0 Pie. It is essentially stock Android with the exception of a few features and apps such as Moto Display. And at that $199 price point, you won't find a cheaper phone running this version of Android. Motorola devices run a version of Android so close to stock Android, it is unfair to call it a skin. Motorola doesn't give it a name. With the exception of Moto Display and few gestures and shortcuts, it's a very similar experience to a Google Pixel device. The G7 Play has received a slightly higher resolution of 1512 x 720 due to its 19:9 aspect ratio. It does use a fairly large notch, which reduces its screen-to-body ratio to 77.3%, the lowest of the G7 family. The G7 Play is 110% faster than its predecessor. Thanks to the Qualcomm Snapdragon 632 (the same SoC in the G7 Play and G7 Power), it has true midrange performance. While this isn't the best 600 series SoC, it is noticeably faster and more efficient than last year's Qualcomm Snapdragon 427. Gaming is also much better thanks to the upgraded GPU. The battery capacity has received a huge downgrade to 3,000 mAh. We speculate that because of the power efficiency of the Snapdragon 632, Motorola felt the price increase for a higher capacity wasn't worth it, but this isn't confirmed. However, Motorola is claiming 40 hours of power on a single charge. The front camera is once again 8 MP. And thanks to larger display notch, it is able to house an actual LED flash, unlike the G7. 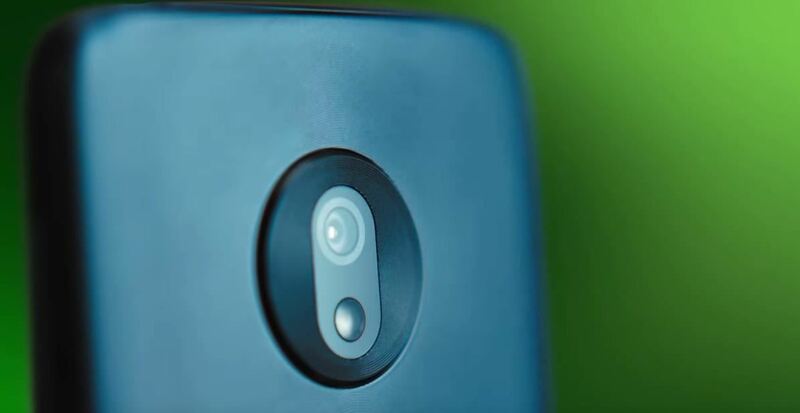 Once again, the Moto G7 Play will have a single 13 MP camera. It has an f/2.0 aperture and uses phase detection autofocus. It is able to shoot RAW photos and includes Google Lens support. As for its video performance, the G7 Play is limited to only 30 fps video on all resolutions. It does support slow-motion video but we're currently unsure at what frame rate and resolution. The G7 Play is one of the few phones which still retains the headphone jack. It has a single speaker and includes support for FM Radio. There are no noteworthy omissions or inclusions when it comes to sensors. Expect the usual assortment that you'd find in most smartphones. For location detection, note that GPS works in the US, but in other regions, the G7 Play lacks BeiDou (China's version of GPS) and Galileo (Europe) radios. Wi-Fi is limited to 802.11n (aka Wi-Fi 4), which is a bit disappointing as 802.11ac (aka Wi-Fi 5) is pretty common. Bluetooth is also limited to 4.2 LE. Audio is also limited to aptX and not aptX HD. There is also no NFC, so those using Google Pay are out of luck. Since the Moto G7 Play is sold SIM unlocked, it has all the bands for both T-Mobile and AT&T. However, because it is also will be sold through Google Fi, it does have CDMA bands for when it needs to switch to the Sprint network. Surprisingly, there is support for T-Mobile LTE Band 71, allowing the G7 Play to enjoy better coverage even in rural areas. A rear fingerprint scanner is available for biometrics-based authentication. You can use face unlock, but it is less secure, as it works using the front facing camera which makes it easily fooled by a picture. In the box, you will receive the phone, the USB-C rapid charger, USB-C cable, a SIM tray ejector tool, and guides.